Today was a very special day at Benarty Centre. 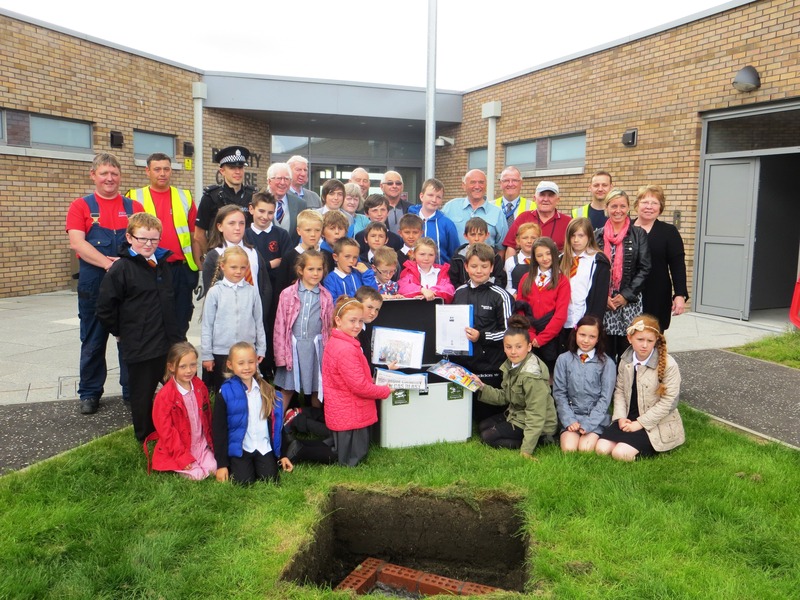 Children representing St. Kenneth’s RC Primary School and Benarty Primary School gathered at the Centre along with members of Benarty Heritage Preservation Group and other guests to watch as the Benarty time capsule was lowered into a specially made chamber at the main entrance of the building. 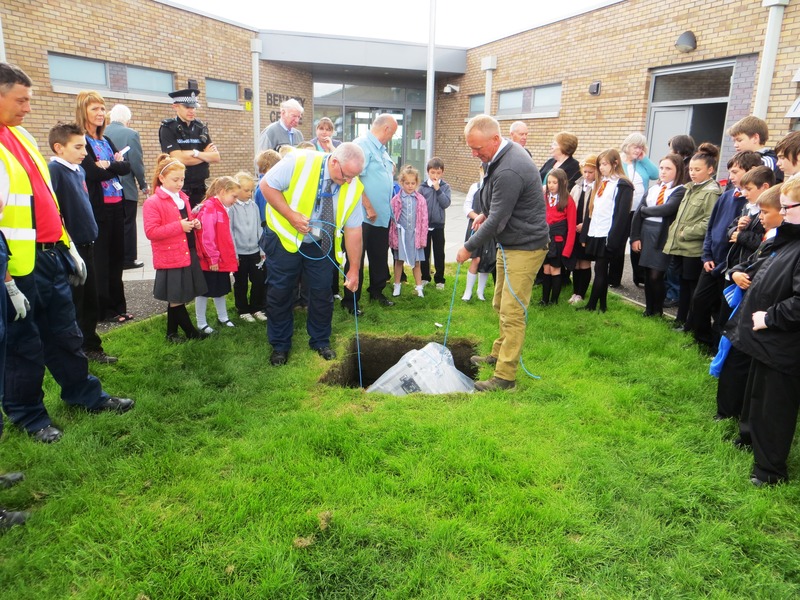 The time capsule was a project undertaken by Benarty Heritage Preservation Group and contains artefacts relating to the Benarty area. These include photographs, local and national newspapers, school uniforms, information relating to the community centre and the area. The capsule will remain underground for 50 years and is due to be opened in June 2063.